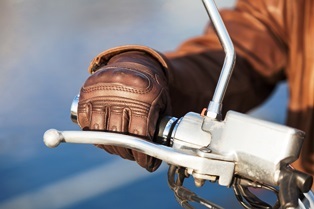 What can I recover in a motorcycle accident lawsuit if I have rider’s arm? Motorcycle accidents can cause a wide range of debilitating injuries. One in particular is rider's arm. Also known as biker's arm, this type of injury often occurs when a motorcyclist's bike lands on their upper arm in a crash. The result is significant nerve damage to any of the following major nerves: the median, the ulnar, or the radial. Motorcycle accident victims who've sustained rider's arm injuries can suffer a loss of sensation or muscle function in the affected limb—or even permanent paralysis. As a result, people with rider's arm may require extensive medical treatment and time away from work, if they're able to return to work at all. However, the cost of such treatment can quickly become unmanageable. To obtain financial recovery for these and other damages, motorcycle crash victims and their attorneys are required to present evidence of the injuries and their effects of the individual's life. Detailed medical records and a daily journal describing how rider's arm impacts his or her ability to carry out regular tasks can be particularly effective. If you sustained rider's arm injuries in a motorcycle accident, you're probably already well aware of the devastating effect these types of injuries can have on someone's life. However, what you may not know is that, as an accident victim, you have important legal rights and options for seeking compensation. Do you have questions about pursuing compensation for motorcycle crash injuries? Contact Van Sant Law today to schedule an appointment for a free initial consultation.